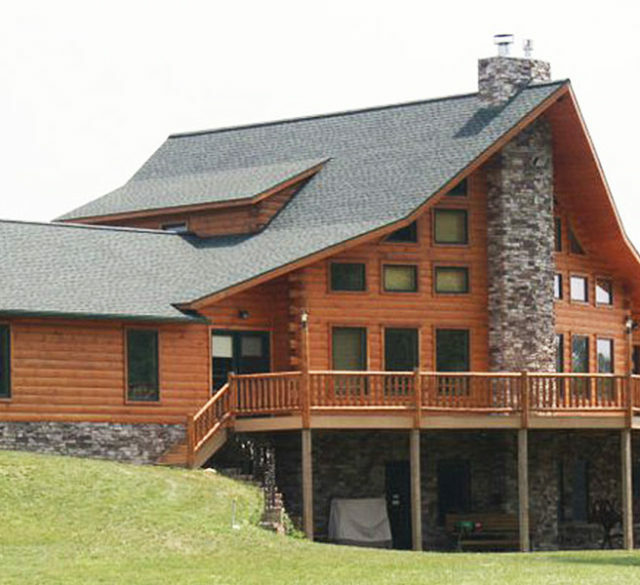 Log homes have the ability to create an extraordinary feel — that’s what so many people love about them. 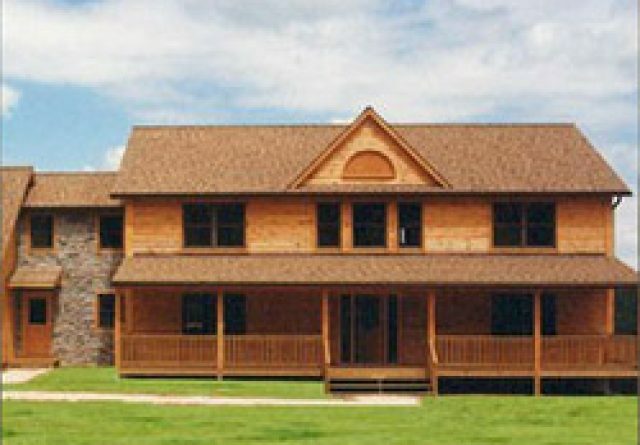 If you’ve been dreaming about a log home you can call your own, you’ve come to the right place. 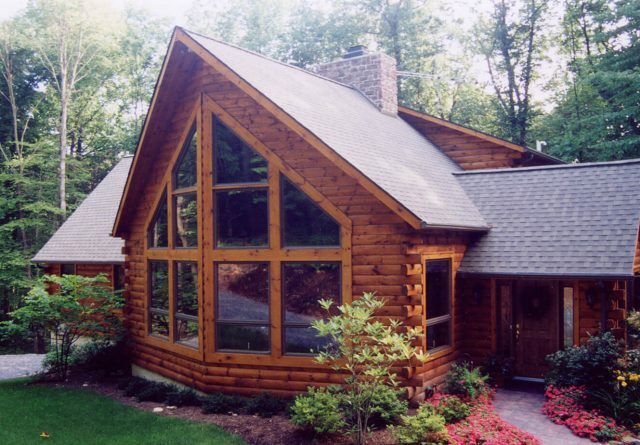 Gingrich Builders has been helping clients make their log home dreams a reality for many years. 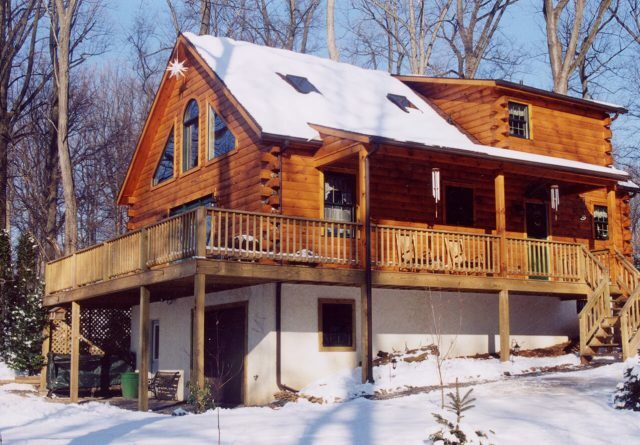 However, some potential log home lovers ask us — Can you live in a Gingrich log home year round? 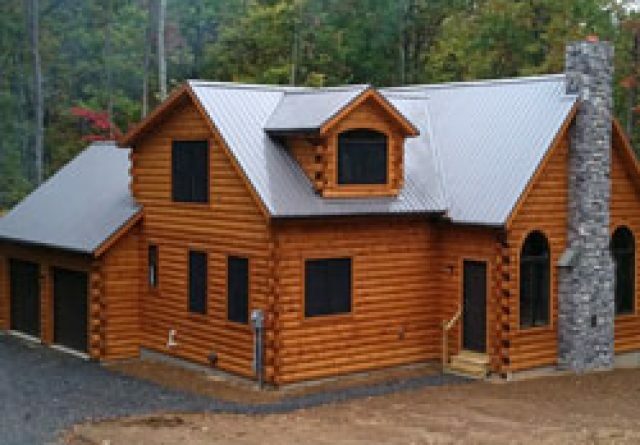 Not only is year-round living a possibility, Gingrich log cabins make fantastic 4-season homes, complete with every feature and amenity you’d expect from any other custom house. 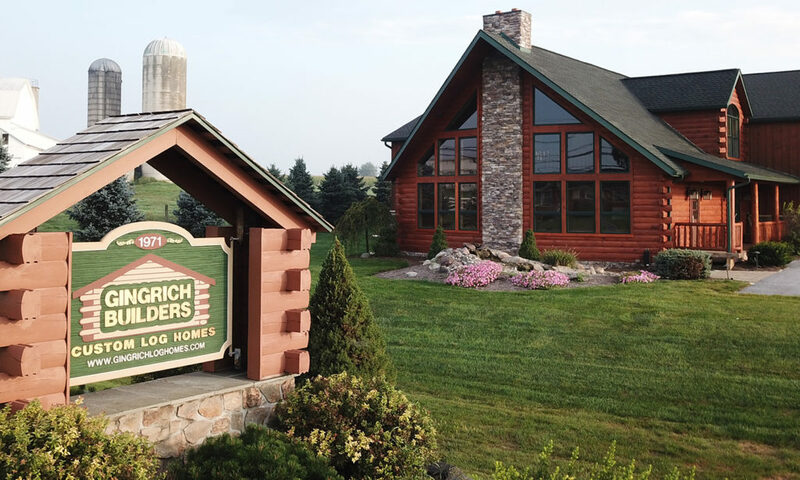 Learn more about what makes Gingrich log homes a great option for full time living — and see some of our stunning options. 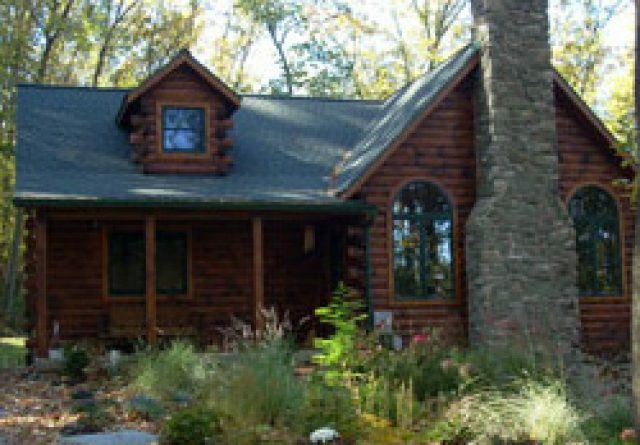 If you make a log home your daily residence, you get to enjoy the rustic charm every time you return from work, have a friend over for dinner, or just stay in for a movie. 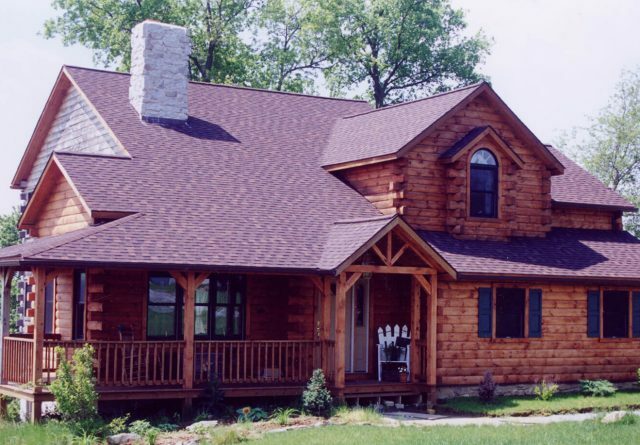 While log cabins typically have the reputation as vacation homes, we have countless customers who have traded their typical suburban homes for a log one. 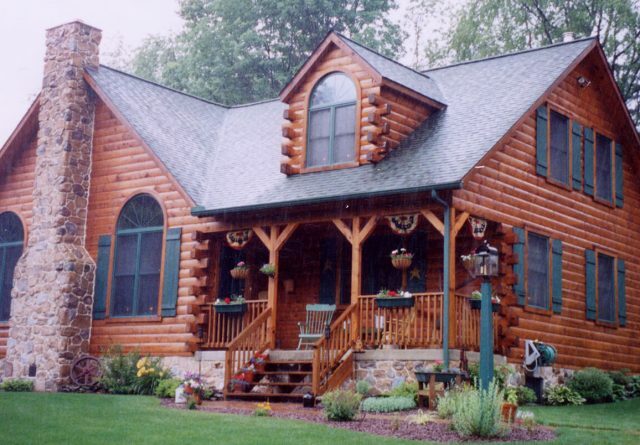 Here are the reasons Gingrich log houses make fantastic homes. 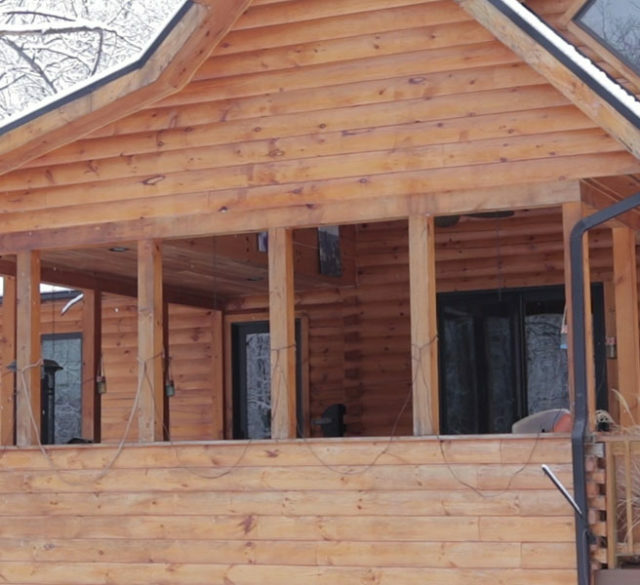 As Much Space as You Need — Your log home can provide enough space to accommodate a large family and as little space needed for just one person. 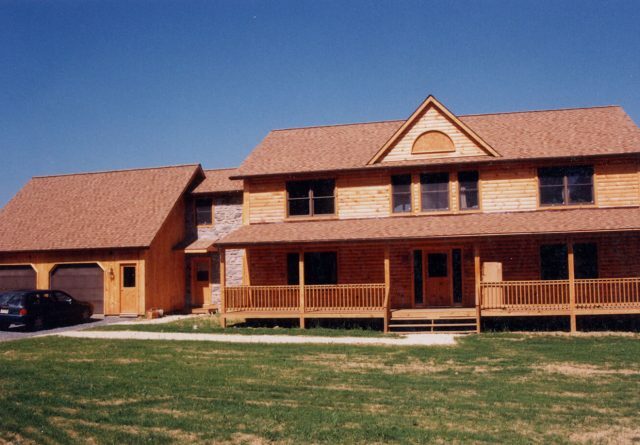 In addition, our log homes come with between one and four bedrooms, enough for almost any family. Some of our log homes even come standard with home offices as well, perfect if you want to work from home in your woodland paradise. For example, our Pine Hill model home comes standard with an office, 4 bedrooms, and 3 bathrooms. 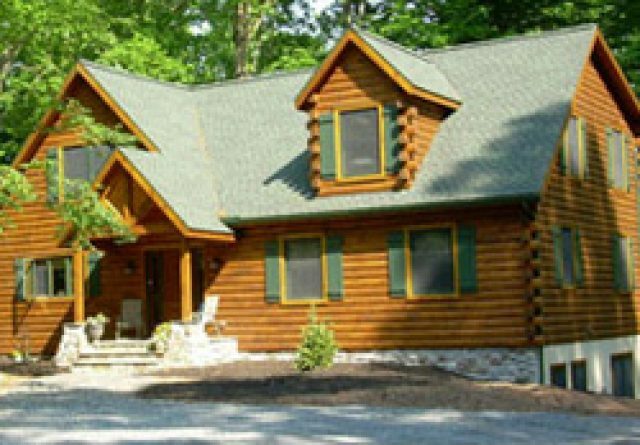 Find the log home that’s right for you. Modern Bathrooms and Kitchens — A requirement for most homebuyers, whether they’re looking at a log home or not. Our log homes may boast an exterior rustic charm, but when it comes to the kitchen and bathroom, we customize them to meet your expectations. Our modern kitchens feature quartz countertops, energy-efficient appliances, and gorgeous wooden cabinets. 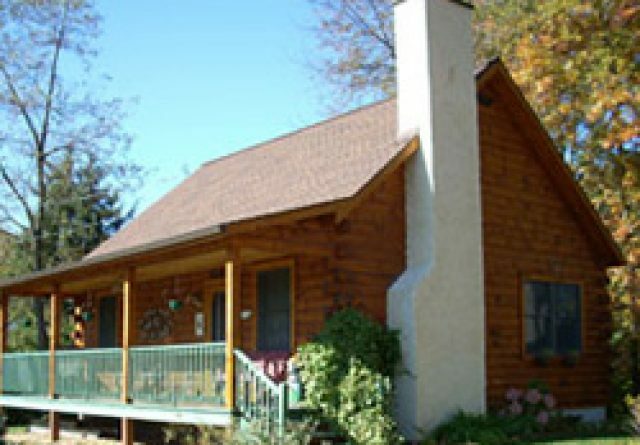 Our log home bathrooms showcase stand up showers, jetted tubs, and other amenities people long for in their home bathrooms. 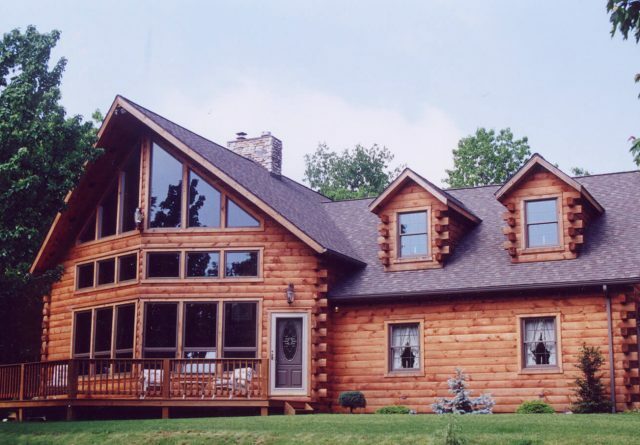 Well Built — Gingrich log homes are built on-site just like any other type of home. Our homes are built secure with a high level of workmanship and come complete with energy efficient windows. Learn more about the difference between modular and site-built homes. 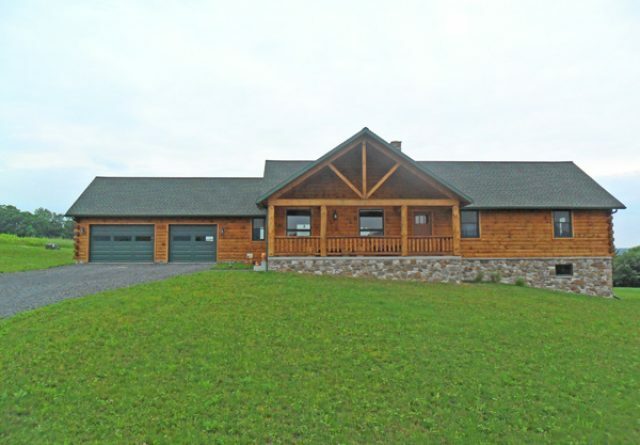 Basements and Garages Available — Another important feature that you might not think you can get with a log home, ALL Gingrich models come with a basement and many include a garage. 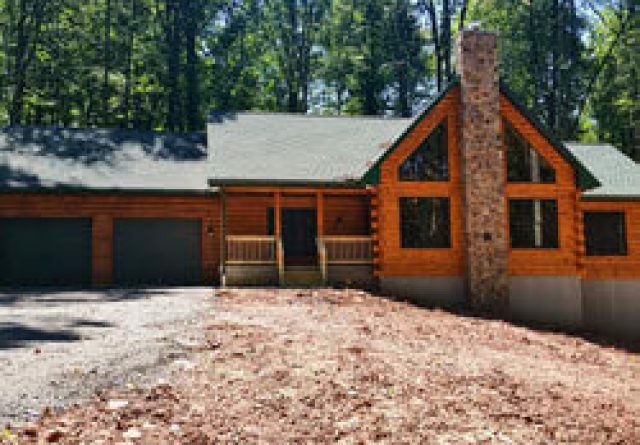 As always, you have the option to custom build your log home to add a garage to any model you like. 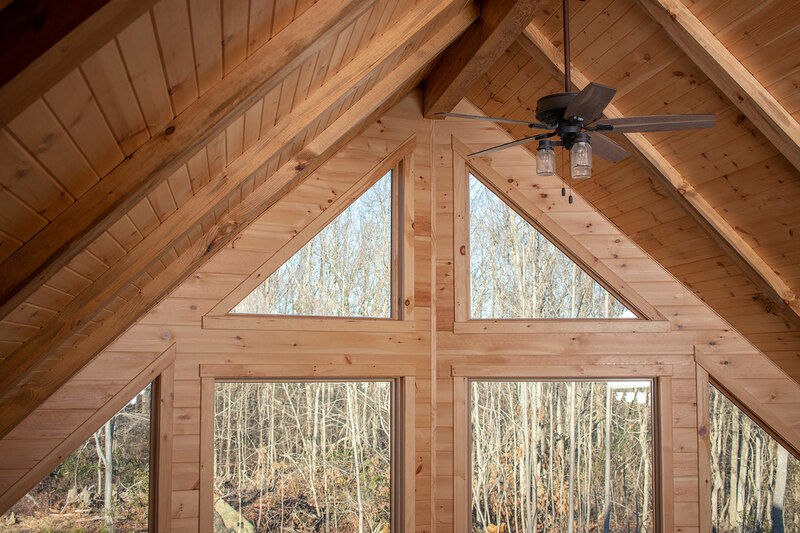 A Wide Variety of Pricing Options — The final reason that our log homes are a fantastic fit for home buyers is the wide range of prices available. You might not expect it by looking at the gorgeous designs and real wood construction, but some of our models can be extremely affordable. Consider the uniqueness and natural beauty of these homes — they reflect the personality of each and every homeowner! 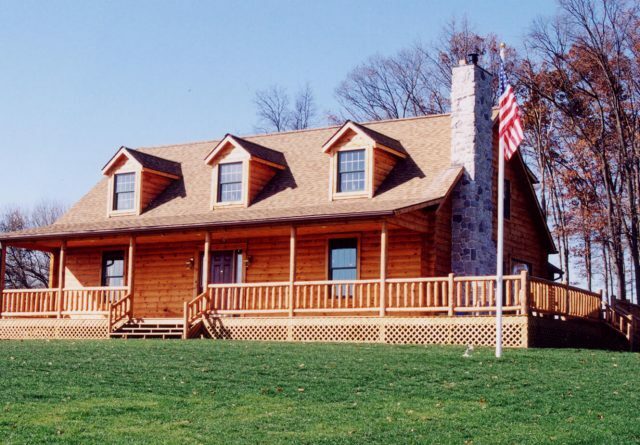 Learn more about our log home prices. 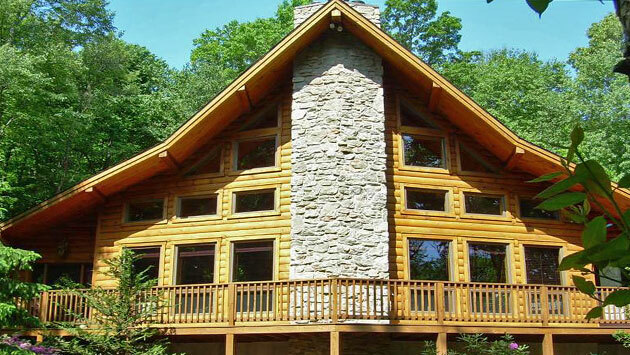 Can you imagine living full-time or part-time in a stunning log cabin? The home of your dreams is so much closer than you’ve ever imagined. At Gingrich Builders, we’ve been making this dream a reality for decades. We’ve seen so many fantastic homes that are both vacation retreats and full-time residences. One of the first steps to secure the log home of your dreams is to contact us for a conversation and a ballpark figure on price. Start the conversation today.